My husband requested a new kind of birthday cake this year. Since it was a new cake, I’m thankful that he wanted his cake to coincide with Labor Day weekend and the start of college football. 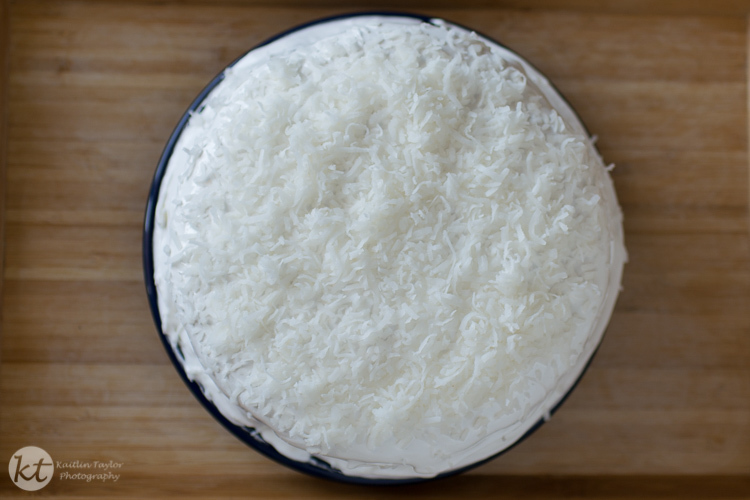 Paula Deen’s coconut cake was so much fun to make! I had to improvise on the frosting a bit, and it turned into homemade marshmallow fluff. It sweetened up and changed consistency to more of a traditional frosting after being in the fridge, but I did enjoy a breakfast of coffee and marshmallow fluff first!